NEW Red Sea REEFER™ XL Systems Coming Soon To a Dealer Near You! 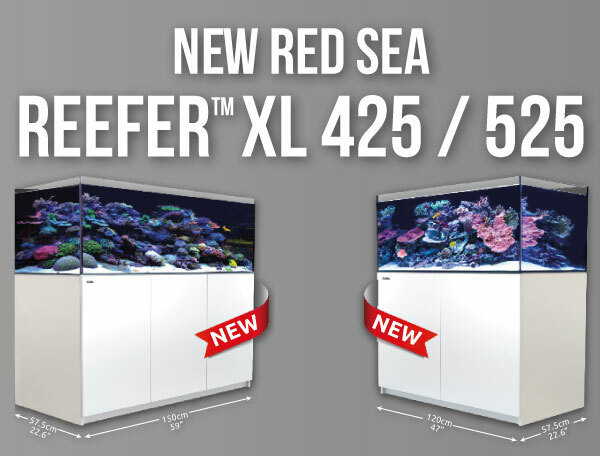 We are excited to introduce you to our two new REEFER™ XL aquariums which are now available for pre-order from select Red Sea Dealers. The new REEFER™ XL 425 and REEFER™ XL 525 models are both 3″ wider than the regular REEFER™ 350 & 450, enabling you to create substantial aquascaping while still providing plenty of water volume and space for your aquarium inhabitants. Both also feature proportionately larger sumps with an extra 3cm (roughly 1.2 inches) water height in the skimmer chamber. Incorporating technologies originally developed for Red Sea’s all-in-one MAX coral reef systems, The REEFER™ series is designed for ease of operation while enabling you to install an unlimited choice of lighting, filtration, circulation and controllers in order to create a uniquely customized system. Visit RedSeaFish.com for more information on the Red Sea REEFER™ XL models.